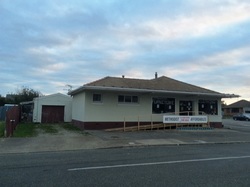 The Affordables Shop was situated on the corner of Lindisfarne and Miller Streets, Invercargill, diagonally opposite the church. Sadly we have had to close permanently from Friday 17 March 2017. We thank all our customers and all those who volunteered at the shop and behind the scenes.